It's always hard to entertain the kids during the long Summer Holidays so let us help you out! We have some great activities on Friday and Saturday of the August Bank Holiday. On Friday 24th between 11am and 3pm we have some special guests from 'Oreo and Friends' who will be bringing a selection of exotic pets and reptiles for your child to meet. 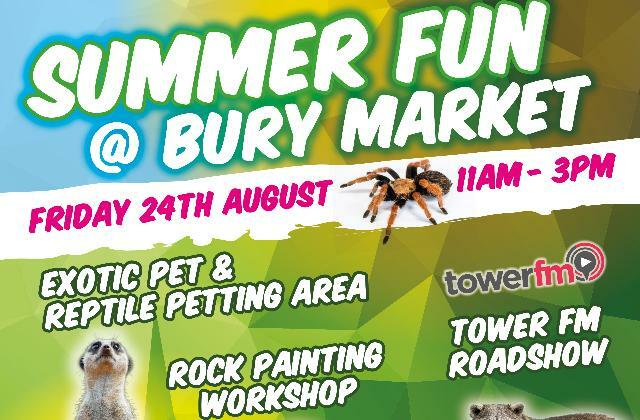 We will also have a Rock painting workshop, a visit from the Tower FM Roadshow and some fairground attractions. On Saturday 25th between 11am and 3pm we will have a Slime Making Workshop, be visited by a stilt walker and the fairground attractions. So don't be bored this Bank Holiday Weekend pay us a visit.